Screws. They are seemingly simple things, but their function and utility is nothing less than amazing. From the drywall screws that make rapid wall construction possible to Tapcon masonry screws and coated deck screws, screws are ubiquitous. But the challenge thats always been with us is how to apply them quickly without stripping them out. But the improvements continue. Carpenters back in the day had limited options; first, employ a standard screwdriver, usually after pre-drilling a hole in the wood, or secondly, using a Stanley Yankee. Yankees are only found in antique shops now, but during their heyday they were quite the innovation. The issue using either of these methods is that theyre slow. Not much of an issue for us DIY types on a honey-do list, but for the paid tradesmen, its too slow and that costs money. Power tool manufacturers were paying attention. Soon carpenters figured out that they could stick screw bit into their corded drills and speed up both production and efficiency. A great solution other than the fact that screw heads tended to strip out without proper finger control and it stinks dragging a cord around. The next generation of tools consisted of the cordless drill and screw gun. First the screw gun with a cord was introduced for hanging drywall, mostly for metal studs in the commercial construction. Milwaukee was long considered the best but then Makita introduced its model which was cheaper, much lighter and just as powerful. The next generation of development was the cordless drill. A great idea but the initial challenge was battery capacity. This was solved by the development of the lithium-ion battery. Not only did battery life between charges, but the memory problem was virtually eliminated. The memory issue simply means that each time a battery is charged up, it doesnt quite reach the capacity of the previous charge. 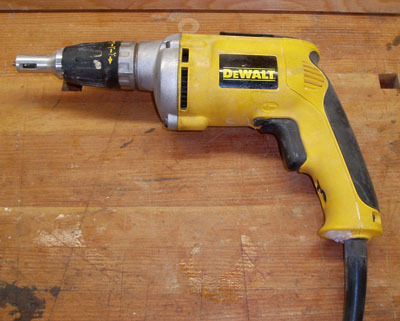 Although cordless drills have been around for quite awhile now, they are heavy and often strip out the screw heads while working on challenging materials like concrete, oak trim, and stainless steel. The new generation of cordless impact drivers make strides in addressing both of these issues. The new tools are smaller, which allows us to work effectively to closer quarters like when using a Kreg K4 pocket hole jig. The impact aspect minimizes stripping and the battery quality is very good. As an example, Makitas 18V LXT Lithium-Ion Cordless 3-Speed Brushless Motor Impact Driver offers three separate impact options. The brushless motor offers an estimated 20% longer battery life on each charge. This is quite an advantage for tough jobs and all-day operation.